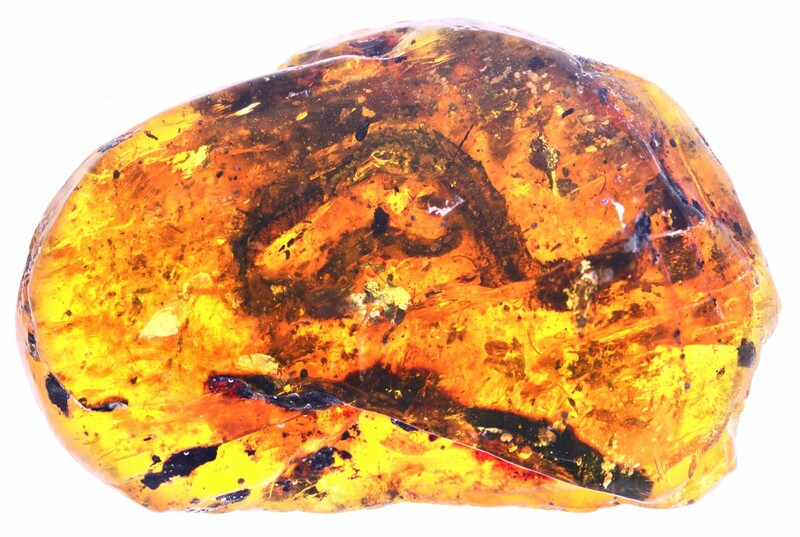 The early Late Cretaceous hatchling, from Myanmar's northern Kachin province, was donated to researchers along with a second piece of amber that preserves part of what appears to be the shed skin of a much larger snake, with its pigmentation pattern intact. Together the two specimens open a new chapter in the study of snake evolution and ontogeny — the study of how an individual organism develops from birth to maturity. 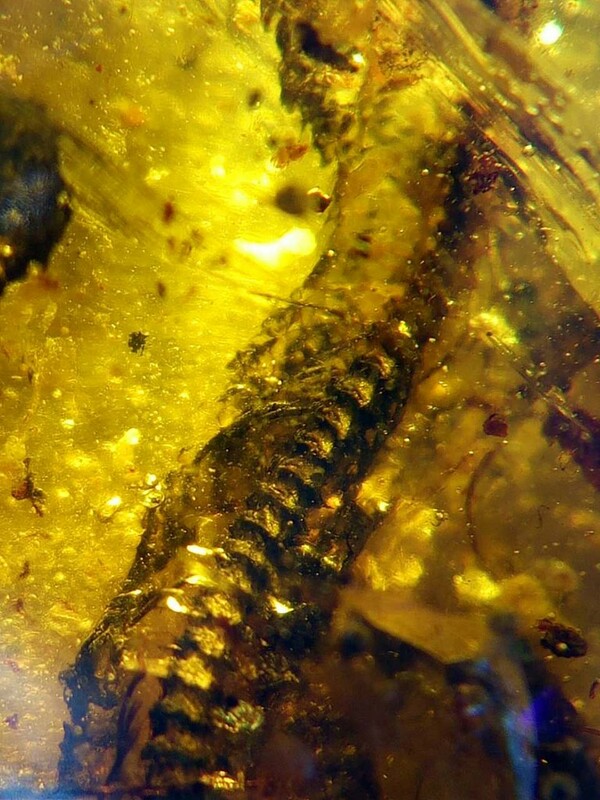 Both pieces of amber were given to researchers after collection — a different route to the lab than, say, an official paleontological expedition discovering the amber in situ and digging it out directly. Other spectacular finds from Myanmar, including a feathered dinosaur tail and the first rainforest-dwelling frogs, have taken similar paths. 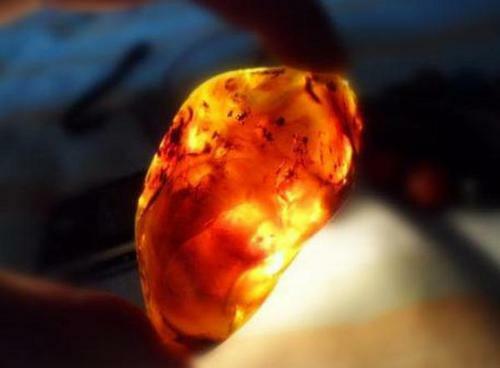 Based on dating of the volcanic rock in which the amber was preserved prior to collection, the team estimates the snake specimens are 98.8 million years old, give or take a couple hundred thousand years. The baby snake, classified as new species Xiaophis myanmarensis, was about 47.5 mm in length, or roughly 1.9 inches, though its head was not preserved. 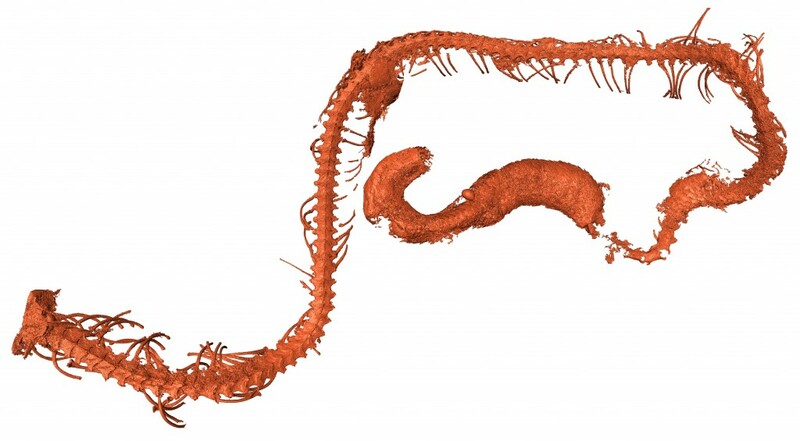 Based on the numerous anatomical features that are intact, including vertebrae and some soft tissue, the team describes it as either embryonic or newborn, and comparable in size to a modern southeast Asian pipe snake (Cylindrophis ruffus) of the same age. The baby snake specimen is the first such fossil of that developmental age known to science. Based on its features, the team concluded it shows that many aspects of snake ontogeny have remained virtually unchanged for 100 million years. 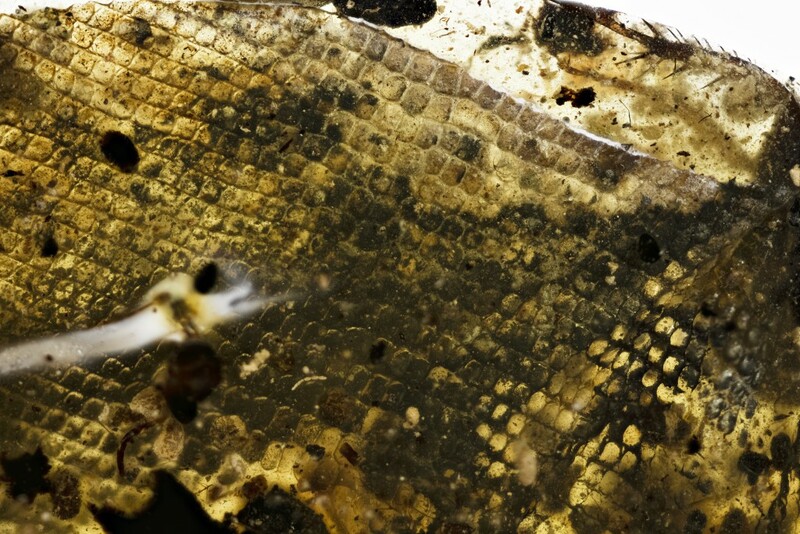 Due to the fragmentary nature of the second specimen, the researchers were unable to determine whether the piece of shed skin belonged to an adult member of X. myanmarensis. 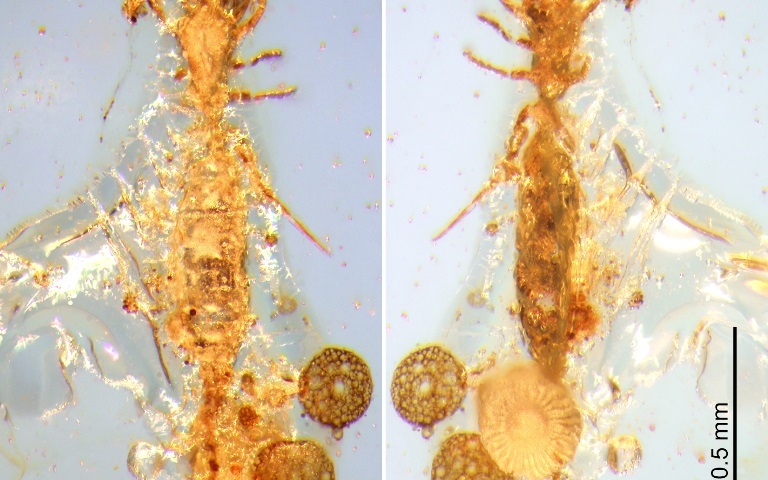 The pattern of pigmentation visible on the second specimen, however, hints at another significant discovery: Both pieces of fossilized plant resin appear to be “litter amber,” produced near a forest floor and full of insects, their feces and bits of vegetation. 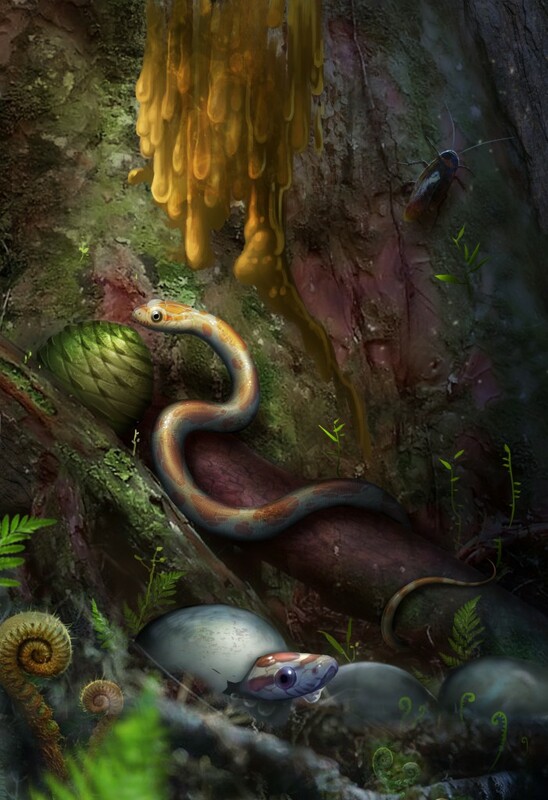 Based on the fragments present in the amber, the researchers concluded the snakes lived in a forest environment. This makes them the earliest forest-dwelling snakes — almost all other snakes known from the same period of the fossil record have adaptations for aquatic environments or were found in river sediments. The pieces of amber also revise our understanding of the global distribution of snakes by the early Late Cretaceous. It appears the animals were more widely spread than previously thought, though the researchers caution more specimens are needed before they can determine routes of slithery migration across the Southern Hemisphere supercontinent of Gondwana.